It largely depends on the continuous supply of good quality nutritious feeds for the success of commercial livestock feed manufacturing business in Bangladesh. As the major portion of livestock caters to cattle and poultry farming, so cattle and poultry feed manufacturing is a profitable business idea here. And you can start the business on a small and large scale basis according to your capital. But, you will need to procure machinery according to the product you want to produce. And it’s more viable financially to start both cattle and poultry feed manufacturing from the same unit. Because the manufacturing process is simple, you can start this business with moderate capital investment. This way you can procure the raw materials and supply them to the local wholesale market. Although Bangladesh is a small country, it has more than 160 million populations. This huge amount of people consumes cattle meat as the second choice than chicken. Since most of the demand for cattle meat is fulfilled from the local cattle, they need to grow for meat using feeds. Without feeds, cattle can’t grow and produce meat. So, this is a huge prospect that you can start a livestock feed manufacturing business in Bangladesh. If it’s located in an area where considerable numbers of livestock farms exist then a livestock feed production business is a profitable option. Because livestock farmers are always looking for formulated food, it’s somewhat essential for proper growth and nourishment of livestock. And as they need to provide adequate nutritious foods to the animals that they will grow rapidly. Animals need some special nutrients to grow and gain weight faster and they have own food habit. So, depending on the livestock including poultry, cattle, swine, aquatic animals etc the livestock feed manufacturing business can be done. As a variety of livestock feed is being produced by the feed producers including broilers mash, layers mash etc you should research on your local market and then decide which feed you will produce. In order to make enable them selling their farm-fresh products to their buyers and make a good, it’s the prime target of every livestock farmer to raise a healthy livestock. 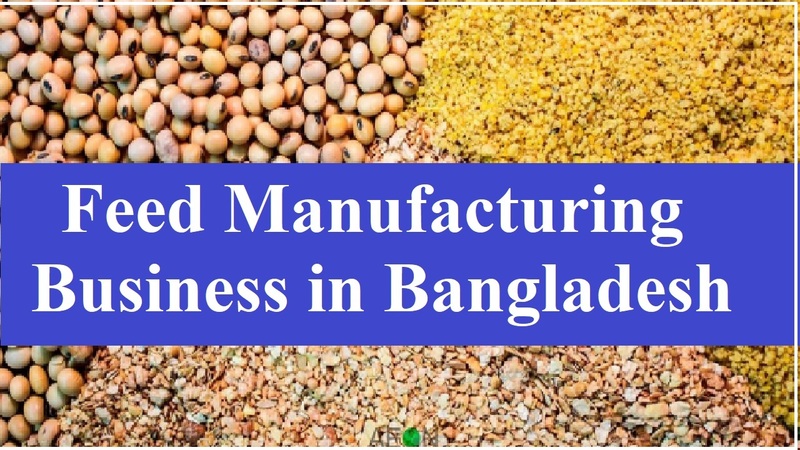 Well, let’s know the steps that need to start a livestock feed manufacturing business in Bangladesh. In the livestock feed manufacturing business, you should craft an effective business plan to get success. From your business objective to the scale of business operations, start-up expenses, financial and marketing plan, you need to consider every aspect involved in the business. Also, you need to study the food necessities of the group of animals for which you desire to produce as you have already decided the category of livestock for which you want to provide feed. Market research is essential and that should be thoroughly on your local market so that you can understand the demand of the livestock feed manufacturing business. In this case, identify the demand of the livestock farmers in your area at first. Also, look at your competitors who are formulating the same type of animal feed is another important aspect is to look at. And you can prepare a solid strategy to stake up against them while analyzing their strengths and faults in the businesses. The best way is to talk to other business owners who are not in competition with you or doing the business in another region. As there is a specific formula for animal feed for each type of animal, you have to identify the right one for the feeds you are going to produce. If it is not properly produced by mixing the raw materials in exact ratio, you will lose your customers as they would not get the expected results after using this feed. What you can do to find out the right feed formulation is that you should gain knowledge of the dietary needs of the livestock you want to manufacture for. You should buy the essential raw materials that you need to use after generating the appropriate formula for feed. The required things are as nutritious as they make the livestock healthy. Purchasing the equipment that is necessary for the livestock feed manufacturing business is the anther important to step. But, the equipment is entirely dependent on the category of livestock you’re going to prepare. In this case, you can either customize the equipment or buy them from the market. This is the step that you need to decide how you’ll pack your prepared feed. If you follow how the other widely used animal feed production company package their products then you may get an idea from your competitors. Also, when taking a look at them; you’ll definitely come up with a nice packaging idea and their different sizes. This is because a consumer always prefers to have that packed size of feed is sufficient and reasonable. And from small to large, you must try to provide all the required sizes. People can acquire small packets from you those who want to stock the feed for the short duration or can’t afford to buy large size bags. But, they can buy the big size bags those who are established livestock farmers.